Celebrating 25 years of Hockey Memories! In 2018 we celebrate our'Alberta Native Provincial Hockey Championships' silver anniversary. 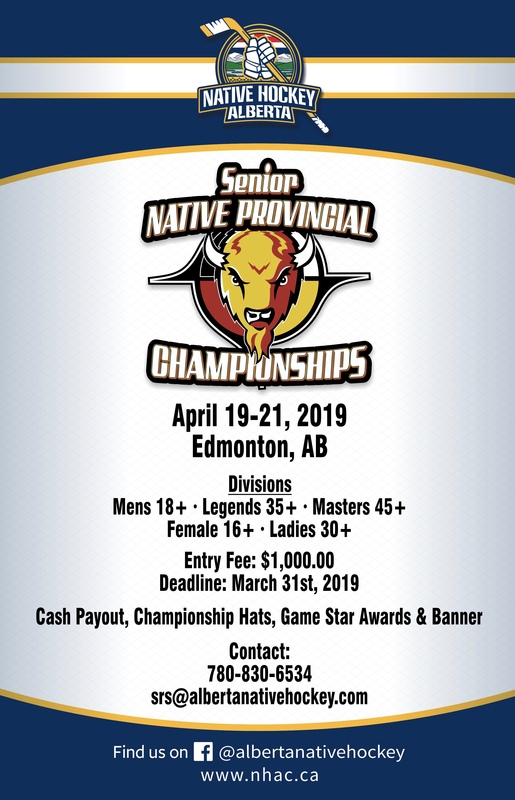 We would like to thank all the players, coaches, managers, referees, fans, stakeholders and volunteers that have participated and supported the Annual Provincial Native Hockey Championships each and every year. We continue to raise the bar on Alberta Native Hockey athlete opportunity and we continue to awareness towards the Alberta Native Hockey Council and it's leadership and that is very exciting. Alberta Native Hockey has hired a Media/PR and Communications team to help spread the good work about the provincials and council as a whole. Our reach is through a Multimedia Sponsorship with CTV and TSN 1260 radio with news and sports stories, PSA's, interstitials and we look forward to a 30 minute documentarty that will air prior to our 26th Provincial Tournament. We are communicating through several social media channels as well with @AbNativeHockey, www.facebook.com/AlbertaNativeHockey and we have a Linkedin profile as well with great reach. Alberta Native Hockey continues to update our website in orer to showcase our boards history, share profiles, sponsors, winning teams, feature players and promote activities and updates for everyone to access.